As promised (see previous post), Mistubishi unveiled their Concept-EZ MIEV (Mistubishi In-wheel Electric Vehicle) at the 76th Geneva International Motor Show which started today. The new all-electric 4WD concept vehicle takes advantage of the compact nature of the MIEV architecture to deliver a compact mono-box design with a very roomy interior that comfortably seats five adults. The Concept-EZ comes on the heels of the equally acronym-happy Concept-CT MIEV, a series-parallel hybrid introduced at the Detroit Auto Show in January. 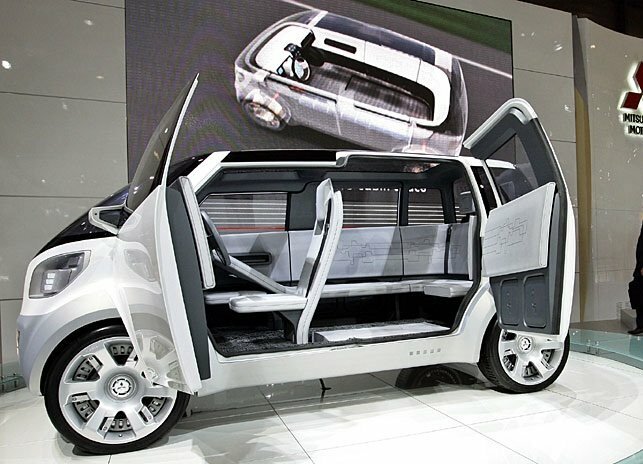 The Concept-EZ showcases an all-electric application of the company’s MIEV architecture for next-generation electric and hybrid vehicles using in-wheel motors and a high energy-density lithium-ion battery system as core technologies. The EZ is driven by four 20 kW in-wheel motors delivering a combined maximum output of 107 hp (80 kW) and combined torque of 1,600 Nm. The use of the in-wheel motor also allows for a “wheel-at-a-corner” layout for high-stability road-hugging, accoring to Green Car Congress. Lounge mode: A conference room-like space with the seats arranged in a circle. Transport mode: Luggage space with the rear seats stowed under the floor. Driving mode: Appropriate for normal driving conditions, spacious and comfortable seating for five adults. The Concept-EZ accelerates from 0–100 km/h in 11 seconds, and has a cruising range of 120 km (75 miles) with a maximum speed of 150 km/h (93 mph). The Concept-EZ is the fourth MIEV vehicle Mitsubishi has developed, starting first with the Colt EV in the spring of 2005, followed by the Lancer Evolution and then the Concept-CT. See this previous post for more on Mitsu's MIEV architecture. 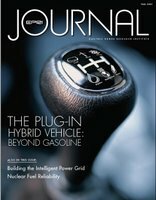 Researchers at my sister university up north are at it again: Chemical engineering researchers at Oregon State University have developed a tiny new microreactor for biodiesel production that promises to be efficient, fast and portable, according to articles at Green Car Congress (GCC) and the Salem StatesmanJournal. The OSU researchers are now looking for partners to commercialize the microreactor. The microreactor, developed in association with the Oregon Nanoscience and Microtechnologies Institute (ONAMI), consists of a series of parallel channels, each smaller than a human hair, through which vegetable oil and alcohol are pumped simultaneously, according to GCC. At that tiny scale, the chemical reaction that converts the oil into biodiesel is extremely rapid, almost instantaneous, according to the StatesmanJournal. "This could be as important an invention as the mouse for your PC. If we’re successful with this, nobody will ever make biodiesel any other way. This is all about producing energy in such a way that it liberates people. 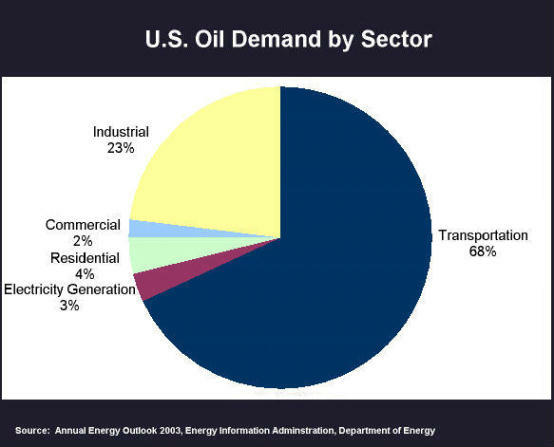 Most people think large-scale, central production of energy is cheaper, because we’ve been raised with that paradigm. But distributed energy production means you can use local resources—farmers can produce all the energy they need from what they grow on their own farms. The challenge is that we’re trying to change a paradigm, moving from centrally-produced energy to distributed energy production, and that’s not easy. But wind and solar energy technologies faced difficulties in their early days. And we’re coming to a place in history where we cannot tolerate the growing uncertainty of petroleum-based energy supplies." According to GCC, conventional biodiesel production methods involve dissolving a catalyst, such as sodium hydroxide, in alcohol, then agitating the alcohol mixture with vegetable oil in large vats for two hours. The liquid then sits while a slow chemical reaction occurs, creating biodiesel and glycerin. The glycerin is then seperated and can be used to make soaps, but first the catalyst in it must be neutralized and removed using hydrochloric acid. The new microreactors developed at OSU can produce biodiesel between 10 and 100 times faster than traditional methods, according to Prof. Jovanovic. Jovanovic is also reportedly developing a method for coating the microchannels with a non-toxic metallic catalyst, making the process even more environmentally friendly. This would also eliminate the need for the dissolved chemical catalyst, making the production process even simpler. Although the amount of biodiesel produced from a single microreactor is a trickle, the reactors can be connected and stacked in banks to increase production. According to Jovanovic, an array of microreactors the size of a small suitcase could produce hundreds of thousands of gallons per year. Jovanovic is looking to partner with a new or existing company in order to commercialize the technology through the Microproducts Breakthrough Institute at ONAMI. ONAMI is a collaboration involving Oregon’s three public research universities - OSU, Portland State University and the University of Oregon [which I attend] - as well as the Pacific Northwest National Laboratory in Richland, Wash., the state of Oregon and the regional business community. There seems to be quite a lot of exciting research going on up at OSU on biodiesel and biohydrogen production. I reported last month on a new "microbial fuel cell" also being developed at OSU that uses organic material in wastewater to generate electricity or hydrogen while also cleaning the wastewater. OSU is also at work exploring the use of cyanobacteria, also known as blue-green algae, in biohydrogen production. This project was funded by a $900,000 DOE grant awarded to OSU's Department of Bioengineering last October. What other goodies will come out of OSU's research programs I wonder? If this new microcreactor array can be succesfully commercialized at a competitive price, it could enable dozens of small-scale on-site biorefineries to pop up at farms, restaurants and other small businesses that produce waste oil, enabling these businesses to supplement their income by producing and marketing biodiesel from what was previously considered a waste poduct. The total amount of biodiesel that could be produced from such waste oils would still only offset a very small percentage of our total petroleum use, but as much of this wase oil that can be utilized, the better. This method of biodiesel production is clearly simpler than the traditional process, but I wonder how its efficiency compares to other methods. I would hope that it is also more efficient at converting vegetable oils into biodiesel, but I am not sure at this point. Finally, Green Car Congress also reported this week about a Utah-based start-up company called Domestic Energy Partners that claims to have developed another simplified process for the production of biodiesel from virgin or waste oil. Their process will reportedly support systems that produce as much as 2.25 million gallons per year or as little as needed for a single home. DEP offers very little information about their process so it is unclear if they are using a similar method as the OSU microreactors (or if a patent conflict may come up). Regardless, it seems that we will be seeing simplified biodiesel production methods reaching market soon which could further accelerate the use of biodiesel, which is already growing at a rapid rate, having tripled during 2005. 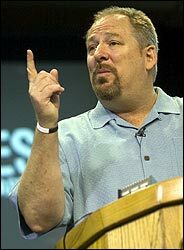 That's right, you'd better drink up your Kentucky bourbon, 'cause it might not last. The National Resource Defense Council's OnEarth Magazine reports that if a recent study conducted for the Commonwealth of Kentucky is correct, global warming may soon make it impossible to produce good Kentucky bourbon - at least in Kentucky. NRDC reports that according to the study's author, Mike Jones, a researcher at American University, a bourbon's distinctive Kentucky flavor comes from the seasonal warming and cooling of the whiskey during its aging. This is done in white oak barrels that have been "toasted" in order to caramelize the sugars in the wood and then charred on the inside to impart flavor to the whiskey during storage. "When the temperature rises in the summer, the bourbon expands," Jones says, "and with lower temperatures in the winter, it contracts. This movement gives the bourbon its amber color and oak flavor." Producers consider these temperature variations so critical that during the course of their storage, barrels are shifted from the lower racks in the warehouse to the upper racks. The temperature sensitivity is also part of the reason that federal law states that unless your whiskey is made from a mash containing 51 percent to 79 percent corn and produced and stored for at least one of its two years of aging in Kentucky, you can't call it Kentucky bourbon (the other part being intense lobbying from Kentuckians who have a long history of fighting for their bourbon). However, according to the study, the 3-degree Fahrenheit average temperature increase predicted for Kentucky over the next 100 years will mean less variation between winter and summer temperatures. The study's sorry conclusion: "In the future, global warming may affect the weather patterns which are essential in Kentucky for the aging process." If that doesn't bring home global warming to the masses, I'm not sure what will! You'd better start cutting back your carbon emissions folks - your driving's starting to affect your drinking. 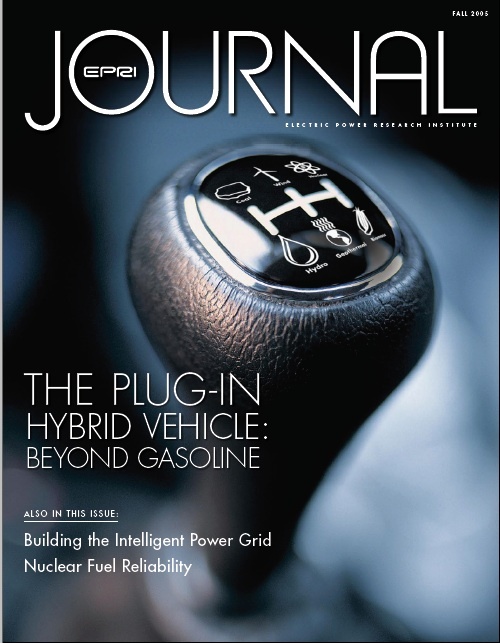 Green Car Congress reports today that the Electric Power Research Institute (EPRI) and DaimlerChrysler moving forward on the development of what would likely be the first commercial avialable plug-in hybrid electric vehicle (PHEV). According to GCC, EPRI and DiamlerChrysler are about to enter the fleet feasibility testing phase of their investigation into plug-in hybrids with the pending deployment of six Sprinter vans of different configurations in different locations. Dr. Mark Duvall of EPRI provided GCC with a brief update on the project at the recent SAE Hybrid Vehicle Technologies Symposium. To use the results to improve design for a Phase 2 production prototype program. The project is using six vans with different combinations of engine (either 2.7-liter gasoline or a 2.3-liter diesel) and battery (NiMH or Li-Ion). All use the same 90 kW motor. The battery packs in these vehicles are large: 14 kWh. 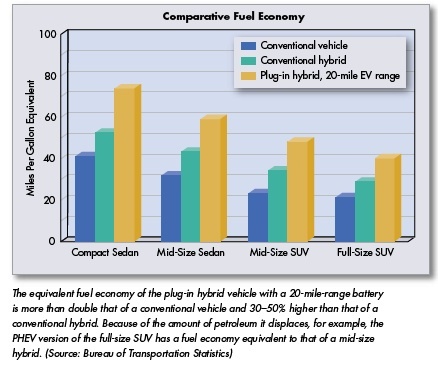 By comparison, the Prius has a 1.5 kWh pack. 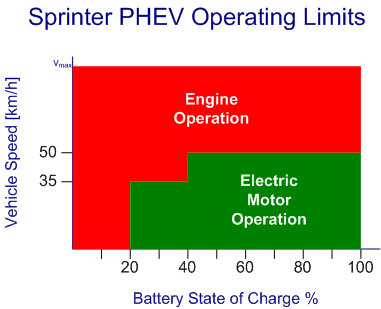 Preliminary estimates give the Sprinter electric performance of 2 miles/kWh. The motor, at 91 kW peak power (72 kW continuous) and 275 Nm peak torque (130–180 Nm continuous) was selected to support the program’s focus on urban driving—i.e., little if any higher speed driving that would require a motor of > 125 kW. Optimizing the operating strategies for the vehicles will be a major component of the testing, the goal being to maximize stored battery energy, while balancing operation with low operating costs. There are a number of possible triggers for mode changes, including vehicle speed, the state of charge (SOC) of the battery, acceleration, location and system temperature. For this project, the team decided to limit electric operation to speeds below 50 km/h (31 mph) and with a battery SOC from 20%—100%. Although the system could support higher speeds, the battery would deplete more quickly. 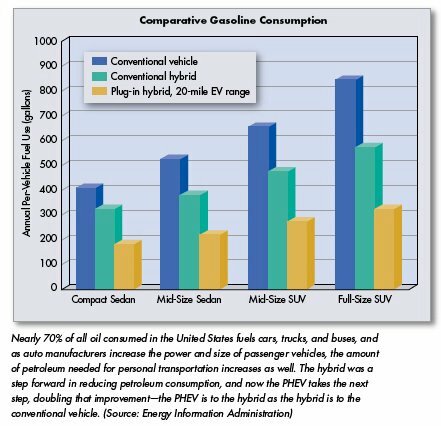 On the question of CO2 emissions per electric mile travelled, EPRI estimates that in 2010, the national average CO2 emissions from power plants will be slightly more than 500 grams/kWh. With the current Sprinter PHEV design, that would work out to about 250 grams per electric mile, or 157.5 g/km of CO2. According to EPRI, in a base case for future power generation, with no additional nuclear, no carbon capture, and no new renewables, the 500 g/kWh will decline to about 350 g/kWh by 2050. Depending upon technology and regulatory drivers, that could drop (as a national average) to as low as about 150 g/kWh—clearly offering great potential for simultaneous reductions in both utility and transportation sector CO2. Clearly, though, the gating factor is the battery. If you've been to Watthead before, you're probably aware that I have high hopes for plug-in hybrids which I consider to be an excellent near-term solution to drastically cut our oil use, replacing it with domestically produced electricity and opening the way for our transport fleet to be powered by clean renewable electricity like wind and solar. I'm thus quite excited to see DiamlerChrysler moving forward towards commercialization of their Sprinter PHEV. As I am unaware of any other major auto makers working seriously towards a commercially avaiable plug-in, it's likely that the Sprinter will be the first PHEV to hit the market and when it does, it will go a long way towards proving that plug-ins are a viable and effective technology (Mitsubishi's MIEV architecture could be used in a PHEV or full EV but probably won't come to market until at least 2010) . The Sprinter is a very popular model, in Europe and North America and the plug-in option is well suited to fleet applications and urban delivery driving cycles. I hope that the Sprinter PHEV not only encourages additional deployment of plug-in technology in delivery vehicles (UPS and Fed Ex should be paying attention to this!) but since its also only a step larger than a personal vehicle, I would hope to see the Sprinter serve as a catalyst for a plug-in personal vehicle as well.